A recent video by the fledgling right-wing party Alternative for Sweden with its leader Gustav Kasselstrand voicing plans to expel thousands of Islamists residing in Sweden, has been removed from YouTube. The video-sharing giant accused the party of "inciting hatred" and threatened to remove their account altogether. The contentious video was published on Monday evening as a response from Alternative for Sweden (AfS) to the weekend's terrorist attack in Paris, which left one person dead and several injured. In a matter of several hours, the video had garnered several thousand views, amassing many likes. In the video, Gustav Kasselstrand argued that this was a "minor" attack by the standards of today's Europe, suggesting that the majority of politicians and journalists had already forgotten about it. He also proposed revoking the citizenship of Islamists residing in Sweden. According to the Security Police SÄPO, cited by Kasselstrand, the number of Islamist extremists has exploded from several hundred to approximately 2,000. Later, the video was taken down by YouTube for alleged "incitement of hatred." YouTube also threatened to delete Alternative for Sweden's account. Det fria ordet är värt att försvara. — Alternativ för Sverige (@AfS_riks) 15 мая 2018 г. ​"I see YouTube's censorship and allegations as a stamp of approval of my message. Nevertheless, it remains problematic that as a leader of Sweden's fastest-growing party I cannot convey my views on social media," Gustav Kasselstrand responded in a statement. This is not the first time the AfS has clashed with a company over censorship issues. Previously, Kasselstrand's podcast Den kokta grodan ("The cooked frog") was removed from SoundCloud on what he claimed to be "arbitrary grounds." According to Kasselstrand, AfS is today the only Swedish party that sees the increasing censorship as a major problem in a time when all other parliamentary parties speak out for censorship and prohibition. He went so far as to call hate speech laws "nothing but a crime of opinion" and advocated their removal. Kasselstrand also ventured that the monopoly of social media giants is tantamount to control over freedom of expression, comparing social media with forums of the ancient world. "Once you are refused the right to appear on social media, there are no comparable options. 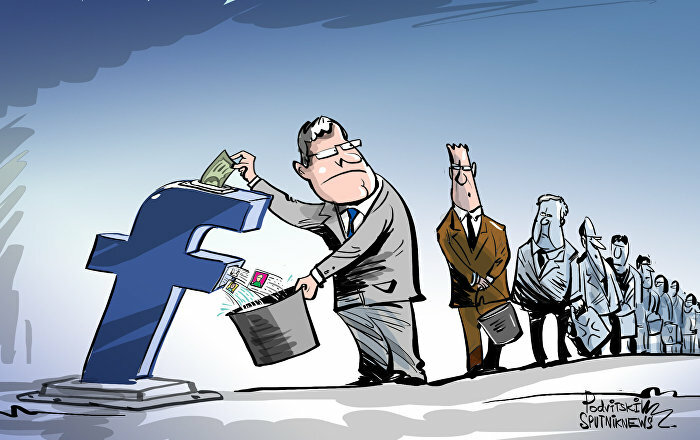 <…> We need a freedom of speech law on the Internet to prevent social media companies from shutting down user accounts for their views," Kasselstrand argued. The crackdown on AfS comes after the Löfven government threatened Google and YouTube with consequences if they failed to erase "hate speech" within 24 hours earlier this spring. At the time of writing, the video was still available on Twitter. 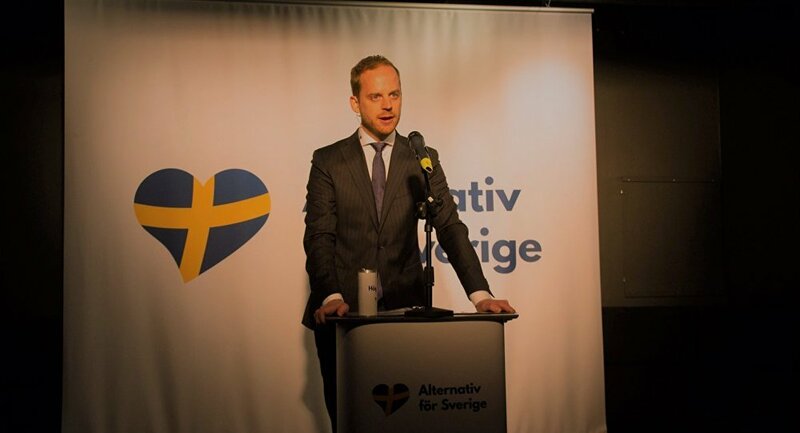 Alternative for Sweden was launched in March 2018 by breakaway members of the right-wing Sweden Democrats. Over just a few months, it's gained thousands of new members and is now the third most popular Swedish party on Facebook, after the Sweden Democrats and the Conservatives. Alternative for Sweden models itself as a "repatriation party" advocating mass deportations and "Swexit," that is a departure from the EU. Alternativ för Sverige VÄXER så det KNAKAR!